The laboratory press is an important tool for the preparing of samples with reproducible characteristics. 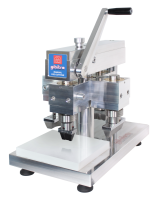 Uniform temperature distribution over the platen surface, mechanical solidity to ensure constant thickness of the sample and consistent closure force are basic elements to ensure this result. 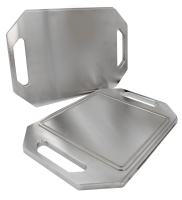 - 250x250 mm chrome plated steel platens with 40 mm thickness to ensure minimal deflection even at high pressing forces. - the pressure cycle (with the force control option installed). Cooling is required for moulding of thermoplastics because the moulded part must be brought to solidification temperature before opening the mould. The cooling is performed by means of integrated cooling platens and requires the connection to a water source or a chiller. The Automatic Press Controller automatically regulates the cooling system according to the temperature and cooling rate set in the moulding cycle. When the set final temperature has been reached, the platens may be automatically opened for the extraction of the moulded part. 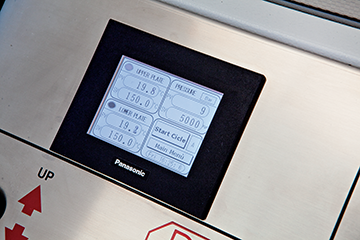 The Digital pressure regulation system is designed for applications that require an accurate control of closure force. A specific 2-stages hydraulic circuit, which includes proportional regulation valves and continuous fine regulation pumping system, has been designed to ensure accurate pressure control. 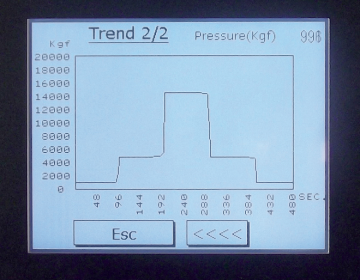 The results is a smooth and consistent force control which permit to set the closure force between 10 kN and 250 kN with 10 N set force regulation steps with regulation oscillations lower than 1000 N.
The control of the closing force is performed using the Automatic Press Control that must be installed in combination with the Closure Force Control option. The Automatic Press Control device permits to set multiple pressure regulation steps within the moulding cycle. 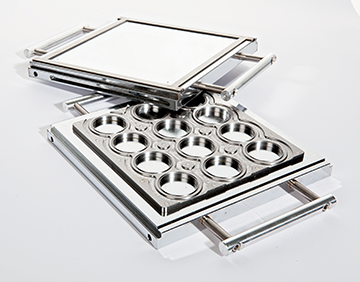 Moulds for producing plates and different types of samples according to international standards are available. Fixing rails with sliding system permit easily handling of the moulds. Mould produced upon customer design and company logo engraving are available on request. 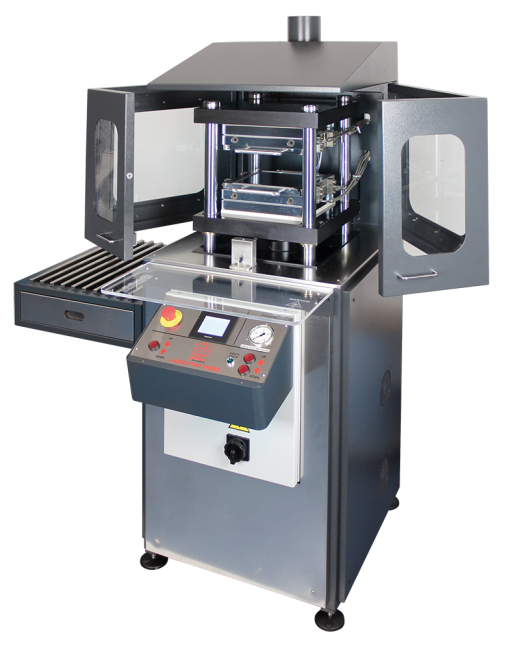 The Automatic Press Control device is fitted with a USB port which permits the connection to a Pc. 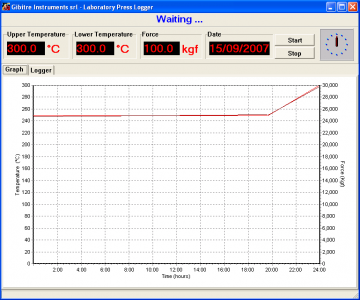 The Gibitre Press Logger program permits the continuous recording of the press conditions (temperature, pressure, moving platen position, cycle step). Both graphical and numerical recording is provided with automatic generation of daily storage files. The program is compatible with Windows 7 and 8 and 10 (64 bits). Special hydraulic setup for continuous regulation of the closure force. Adjustable closure force between 6 and 250kN. Regulation error <10%. Laboratory press, with 250x250 mm platens and 25 T closure force, for the compression moulding of plates and specimens.